An underground city is a network of tunnels that connects various buildings below the street level. These may include office blocks, metro stations, underground shopping malls. Underground structures or networks are usually found in countries with cold climate. For example, the temperature in Canada in winter is -10 degree Celsius. The climate in Canada does not permit free movement over ground. That is the reason for the development of underground cities. Montreal’s RESO is the world’s largest Underground city in Canada. It is popularly known as “Double Decker City“. 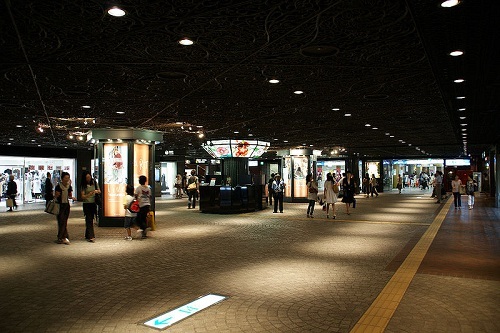 Underground cities usually have entrances through public spaces. The underground structure rises over ground and provides for a proper entrance to the underground structure. There are some underground tunnels that have an opening on the ground which slowly leads the traffic to the underground city. Underground cities are similar in nature to skyway systems and may include some buildings linked by skyways or above ground corridors rather than underground. The purpose of construction of skyways or underground cities is the same which is protection from weather. (Skyways are known as catwalks, sky bridge etc. A skyway is an enclosed bridge connecting the two buildings. The purpose of construction of skyways is mainly to protect the pedestrians from weather. Skyways are usually seen in business buildings and therefore not common in public spaces. Skyways usually connect the two buildings on the first few floors above ground, they could be higher too. 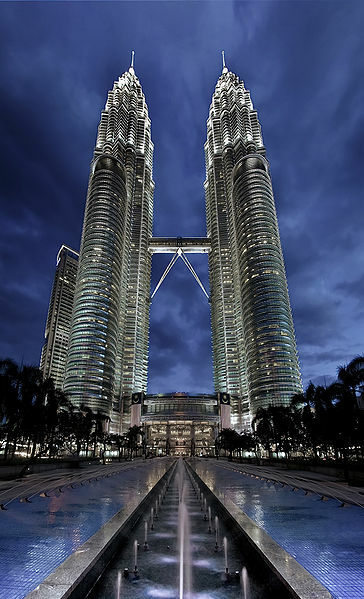 Petronas Towers is an excellent example of a skyway. This skyways being higher is referred to as Sky bridge. The skyways are seen to occur in University campuses connecting more than one block. Montreal’s Reso is the world’s largest underground city network used by millions of people. Toronto’s Path is the world’s underground shopping complex which has 371,600 square metres of retail space. Japan has individually smaller networks but are the most extensive networks. It has a total of 76 underground shopping streets totalling over 900,000 square metres of floor space in 1996, with many expansions since then. okay thanks alot from technical information, if send it the layout plan of structure it will be use full, i hope to find more information, like that in the future. tell me about new projects on underground city planning. INDIA too have underground subways!!!!!!!!!!!! plz suggest some of the projects in geotechnical engg or environmental engg that can be done as a btech project. i’m student of final year in civil engineering. please suggest me project topic in structural engineering. hi…am doing my 3rd yr civil…sugest some topics for projects. Disaster Management, Earthquake Engineering, Prefab Construction, Modular Buildings, etc. and also we should think about the causes of foundation failure bcz of hard water ….